Scrappy Kimberly says: Many people might be fooled into thinking that this Scrappy woman is a timid, quiet Japanese lady. But let me assure you that Yuko Shibata is a tidal wave of change sweeping over the island of Japan, with far-reaching ripples extending throughout the world. Meeting her changed the course of my career forever, and I would never be foolish enough to think that there’s anything at all this incredible business leader couldn’t achieve. My name is Yuko and I was born in Japan, where many people call me “Shibata-san.” I grew up in a small town called Kishima about an hour’s train ride outside of Tokyo, where I still live to this day. I earned my degree in psychology in the US from the University of Washington, Seattle before returning to Japan. After working in Tokyo for Libyan and American companies, I decided that I wanted to work in an education-related field, so I got a job as a counselor for “study-abroad” programs, and programs offering English study in Japan. Seeing the trends in the international business world, I became very interested in preparing Japanese businesses for globalization, a field I have been working in for the past 24 years. Presently, I’m the Executive Director of the Program Management Division of ALC Education, Inc. Over the past five years, we’ve introduced a wide range of truly innovative and transformative global business leadership and management programs to Japanese companies through our collaboration with Kimberly Wiefling and her colleagues. 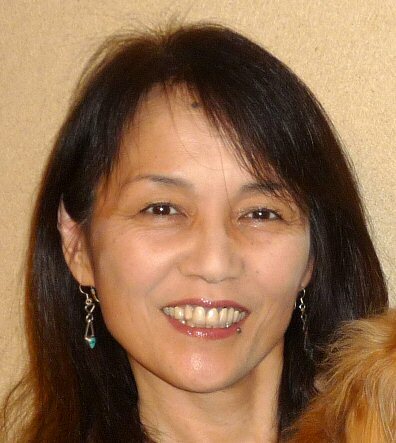 Read a sample of Yuko’s chapter from the Scrappy Women in Business book here.